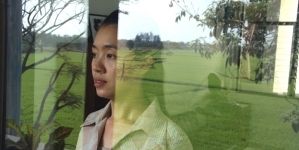 Weerasethakul’s later work takes many of Tropical Malady’s themes and builds upon them. 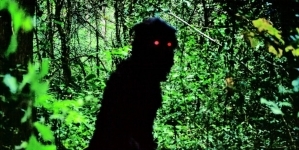 The two halves of Apichatpong Weerasethakul’s Tropical Malady initially feel so distinct that it seems as if it the film could have been sold as a double feature. The first half is a gentle gay romance, which sees the attractive soldier Keng (Banlop Lomnoi) fall for the sweet, farm-dwelling Tong (Sakda Kaewbuadee). The second half, subtitled “A Spirit’s Path,” is a trippy interpretation of an old fable, following Keng as he searches for a deadly tiger in a dark, magical forest. However, a closer look reveals how vitally connected these two halves are. Though it is certainly open for interpretation, the second half suggests the danger that Keng and Tong have entered into by succumbing to film’s titular malady: love. By representing Keng’s growing need for Tong as a search for a deadly beast, Weerasethakul has taken a gentler but no less potent approach to film’s that have shown the danger of homosexual love through either violence or a run-in with HIV/AIDS. But, though just as potent, Weerasethakul’s is more hopeful. Though the Keng in the second half is on a dark, tedious journey, he is steadfast. There is hope in him, no matter what dangers he faces. It is filmed as if it is a dream, and of course it is metaphorical, but there’s real weight here as well. The two-act structure is just one of the film’s eccentricities. Shot in a somewhat ugly style resembling late ‘90s and early ‘00s documentaries, Tropical Malady doesn’t initially have the look that one would expect from an award-winning art film. 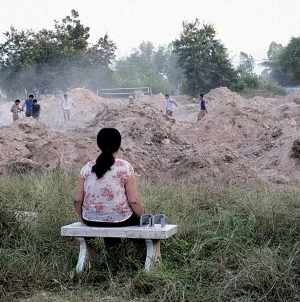 Weerasethakul doesn’t waste his time polishing spaces for his characters to inhabit. Though they visit beautiful locations, the film is concerned with the love between its protagonists rather than where they do it. In the first half, this love is represented by sweet, shy and very funny conversations between Keng and Tong. Their meetings are tame but heartwarming. This occasional visual ugliness is purposeful rather than sloppy, and this relates to Tropical Malady’s other sensory elements as well. We listen to the annoying buzz of insects; we squint to make out what is happening; we can feel the heat of the beating sun and of the dark, suffocating forest. All of these elements and more serve to refocus our attention, to make us experience the film rather than simply follow it. Several of Tropical Malady’s key themes appear in much of Weerasethakul’s work. The most significant are the act of falling in love and of searching for one’s self/one’s desires in the heart of the forest. Others include globalization (an element Weerasethakul wrings a lot of humor out of in Tropical Malady), the contrast between the city and the country and the relationship between humankind and nature. Not all of these disparate threads match up tidily in Tropical Malady, but Weerasethakul seems interested in neither the traditional nor the tidy. Specifically, some critics have decried the subtlety of Keng and Tong’s romance, while others have expressed frustration with the vagueness of the second half’s approach. But what results from having these two distinct approaches mash up with one another is a genuinely different way of approaching a tale of love. Rather than making a societal point where townsfolk or friends force Keng and Tong out of town with pitchforks or by making it unbelievably easy for the two men to get together, Weerasethakul forces together a gentle but clumsy love affair and a mysterious nighttime mystery in order to represent the way that love itself, particularly societally dangerous love, actually feels and functions. It’s experimental without being cold, vague without being cruelly elusive. Weerasethakul’s later work takes many of Tropical Malady’s themes and builds upon them. In some cases, he improves upon them. But as a brave and singular love story, Weerasethakul – or nearly any other filmmaker – has not come close to recreating what he’s done with Tropical Malady. 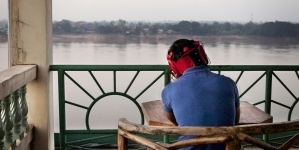 Even the most ardent Weerasethakul fans were perplexed by Mekong Hotel.